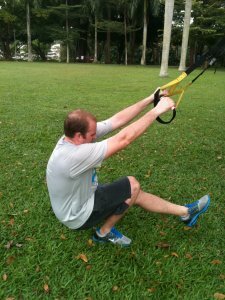 Pt works Singapore provides the best and most qualified fitness and gym trainers. They are very experienced in establishing exercise instructions and prescriptions in order to create an effective personalised training plan. Remember, everyone is different, so you need to figure out which exercise plan is right for you. Having your own fitness instructor helps you to create a fitness program that matches your needs that suits your medical background. Everything will be personalised according to your own preferences. If you are new to resistance training, its always good to start slow with basic weights exercises. You don’t have to lift super heavy weights in the beginning. 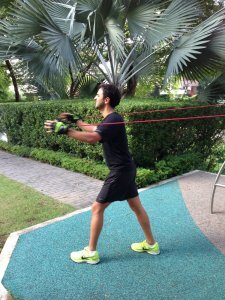 Start off with light to moderate resistance to get the lifting techniques right, firing up the correct muscles. Once you gain confidence, gradually increase the resistance. Along the way your muscles will grow stronger with muscle hypertrophy. 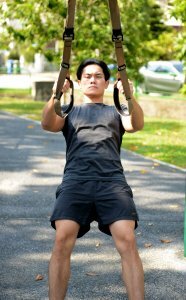 Thats the time to move on to heavier weights and advance lifting exercises. For beginners, always start the gym practice with stationary machines. These weights machines are easier to control and helps to improve strength fast and safe. Its because unlike free weights, machines allows u to move through a full range of motion in a fixed path. You don’t have to balance the weight. Towards intermediate training, we will advance to free weights such as dumb bells and bar bells. Exercises involving them requires high level of balance and stability. All the stabilising muscles will kick in to counter balance the weight. For heavy lifting, its always good to have a spotter. A buddy or trainer that will assist you, spotting your mistakes and giving the extra help or push. After training with us for at least 3 months consistently, you will reach the advance category. At this stage, we will push you even further, to optimise performance and muscle growth. Yes, its normal. Usually for new starters, the pain can be quite bad. So usually we don’t recommend heavy lifting at the start. Start with light exercises so that your muscles can get used to the intensity. This post training pain is what we called Delayed Onset Muscle Soreness (DOMS). Usually the soreness kicks in the next day within 48 hours. It will last for a couple of days. Stretching and resting is essential. 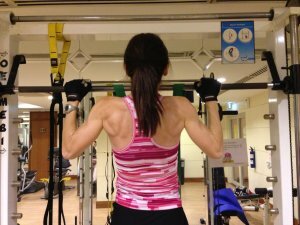 In the gym, we work to break down muscle fibres. We don’t grow muscles in the gym. The growth (hypertrophy) only happens during recovery period. Especially when you are sleeping. During resting, protein synthesis will occur, increasing its size and strength. Here at PT works, with over 10 years of coaching experience, you will gain the best experience in working out and advancing in your fitness journey. The activities that you may have to go through will be challenging but we also believe in making them fun and achievable. Doing many demanding and challenging physical activities can be stressful. Hence, we want to give you the best experience that you can have, while working out with us. With creative and pro-active plans, there will be consistency and sustainable results. We make sure that your fitness path is well planned and constantly motivated in order to reach your goals. You can also bring a friend or family member to train together with us. We have a buddy system program. Working out together with your closest pals will increase your motivation to set new targets. In this way, the session will become more challenging, involving more interaction. Just like what they say, having a professional gym trainer is like having a dictionary in your pocket. They will guide you through every single step, always giving you the extra push and encouragement.